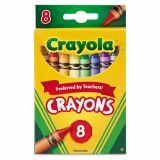 Crayola Classic Color Crayons, Peggable Retail Pack, Peggable Retail Pack, 8 Colors - Crayola Crayons are the classic kids' art tool. Bright, quality Crayola crayons in a peggable box produce brilliant, even colors. These are the colors generations have grown up with - includes red, yellow, green, blue, brown, black, orange and purple. 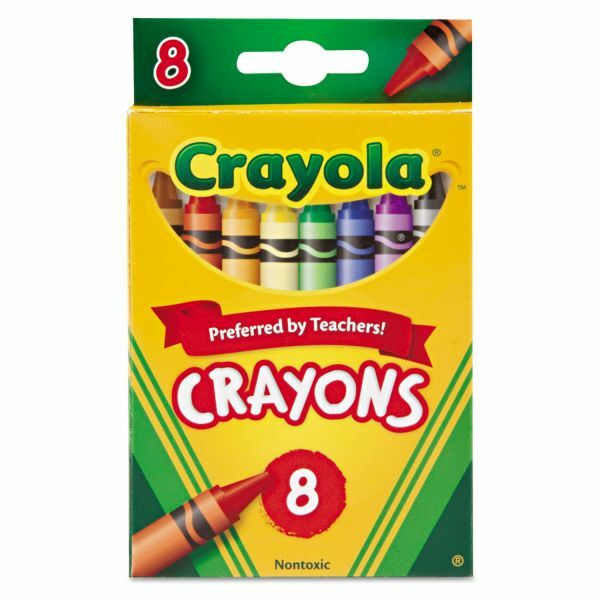 Crayola Crayons are designed with a focus on true color, smoothness and durability. Crayons are permanent and waterproof. Certified AP nontoxic, conforms to ASTM D-4236.